The authors may send their manuscript on jirasindia@gmail.com the whole manuscript is required to be in one MS-Word file only. All research communication must be written in English only. It is obligatory that each author and co-author should be a member of JIRAS. Format of the Membership form is given. Members will be getting copies of the journal for free of cost. The editorial board reserves the full right to reframe, reproduce, condense are make essential alteration in the research articles. The manuscript will not be returned in any case whether accepted or rejected. 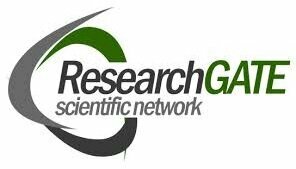 Acceptance of research articles will be communicated to authors in due course of time with a reference number. 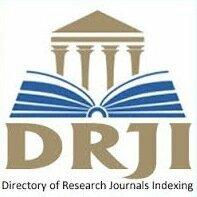 All correspondence should be addressed to the editor JIRAS mentioning the reference number of the research articles. Cover page: The cover page of the manuscript containing the title, AUTHOR NAME (S) & AFFILIATIONS: The author (s) full name, designation, affiliation (s), address, mobile/landline numbers, and email/alternate email address should be in italic & 11-point Times new roman font. It must be centered underneath the title. Abstract: Abstract should be in fully italicized text, not exceeding 250 words. The abstract must be informative and explain the background, aims, methods, results & conclusion in a single paragraph. Abbreviations must be mentioned in full. Keywords: Abstract must be followed by a list of keywords, subject to the maximum of five. These should be arranged in alphabetic order separated by commas and full stops at the end. Manuscript: Manuscript must be prepared on a standard A4 size PORTRAIT SETTING PAPER. It must be prepared on a line of 1.5 spaces and double column with 1.5" margin set for top & bottom, 1.0" margin set for left and right. It should be typed in 12 point Times new Roman Font with page numbers at the bottom and centre of every page. It should be free from grammatical, spelling and punctuation errors and must be thoroughly edited. Headings: All the headings should be in a 14 point Times new Roman Font. These must be bold-faced, aligned left and fully capitalized. Leave a blank line before each heading. Sub-Headings: All the sub-headings should be in a 12 point Times new Roman Font. These must be bold-faced, aligned left and fully capitalized. Main Text: The main text should be in a 12 point Times new Roman Font, 1.5 line spaced and justified. The manuscript should preferably not exceed 5000 words. Figures &Tables: These should be simple, centered, separately numbered & self explained, and titles must be above the table/figure. Sources of data should be mentioned below the table/figure. It should be ensured that the tables/figures are referred to from the main text. 1. All works cited in the text (including sources for tables and figures) should be listed alphabetically as appropriate- the name of author(s), year of publication in bracket, title of the article/book, name of the journal, details of the publisher, volume and issue number, and starting and ending page numbers. Copyright: The author (s) must transfer the authority and copyright to the publisher if the manuscript accepted for publication and certify that all the material used directly or indirectly must meet the copyright requirement. No part of the material published in JIRAS may be reproduced, photocopied or stored in electronic format and used for commercial purpose. For reprint and permission to use material please send the request to editor JIRAS or call (+91) 93810 31956 or e-mail: jirasindia@gmail.com, editorjiras@gmil.com.